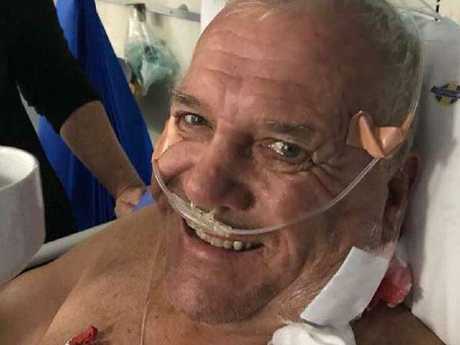 Speaking with The Sun, a friend of Mr Hodge's, who does not wish to be named, said he was rushed to the Mediclinic Hospital 5km away. His friend revealed that the park owner was investigating a smell in the lion's enclosure when the predator attacked him. "Mike and one of his rangers were a little concerned about a smell in a compound that was upsetting one of the lions and had gone in through the gate to see what was causing it," he said. "It had put the lion on edge but when Mike went in the lion turned and came for him and he ran but couldn't get through the gate quick enough and it had him. 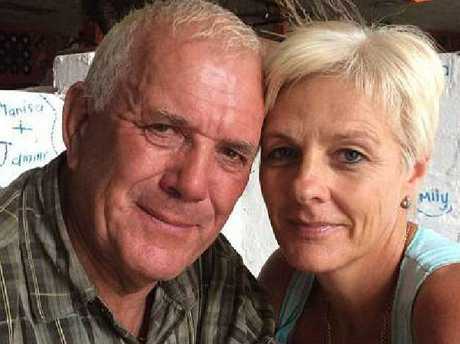 "There is no information coming out of the hospital but all I know is that he is alive and his wife and daughter are with him. "I do not know how badly hurt he is but he is a lovely guy and I wish him all the best. "He is no fool around lions and knows how to interact with them but clearly something went wrong" she said. One girl who is watching the attack is heard crying in horror as another man shouts for someone to "get a rifle." 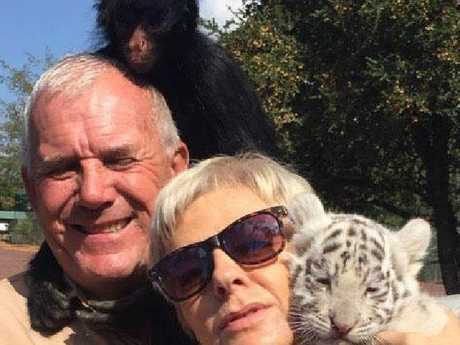 And due to the park's popularity, the couple created the predator centre within the sanctuary featuring at least a dozen big cats, including white lions, cheetahs and two Bengal tigers. 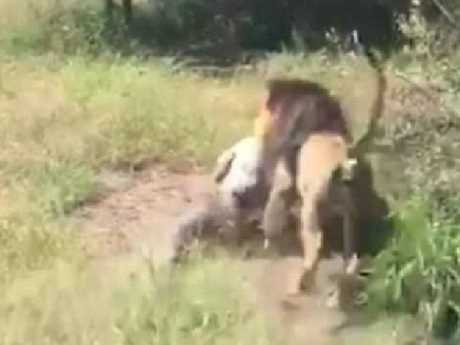 Social media users however felt that the lion should not have been put down and questioned why Mr Hodge would be inside the lion's enclosure when it was that close to him.